Imagine a place filled with thousands of toys, a veritable Wonka’s Factory of playthings. Imagine your child freely exploring this seemingly endless collection and then being able to take toys home to play with. Imagine that it’s completely free. Now open your eyes and get excited because this is no dream, this is the Toy Library at the Lincoln Branch of the Monroe County Library System. 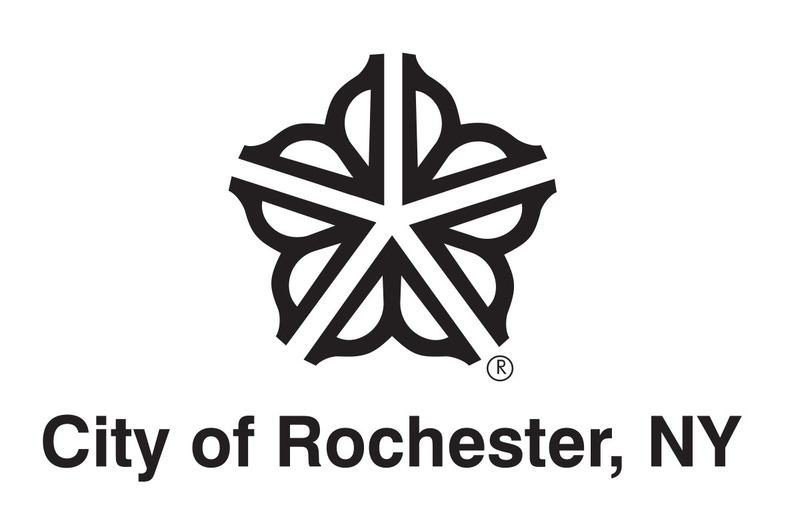 It’s located on the corner of Joseph Ave and Ave D in the city of Rochester. 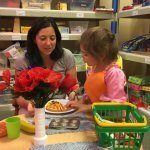 The Toy Library is a community resource that allows families, caregivers, teachers, therapists, social workers, and schools to meet the specific, growing needs of young children at no cost. The Toy Library’s collection is primarily aimed at children newborn to 8 years old, but even adults might find a board game of interest. Toys are selected for quality and safety, and materials are checked for completeness and sanitized upon return. Up to ten items at a time may be borrowed, free of charge, with a valid adult Monroe County library card. The loan period is 3 weeks and renewals are possible online or by phone. The collection’s newest toys can be viewed online. Go to www.Roccitylibrary.org, search on Toy Library, find something you’d like to borrow and request a hold. Toys will be routed to your local branch. For your convenience, all Toy Library items can be returned to any MCLS library. The Toy Library is also a safe, 2500 sq. ft. public play space . 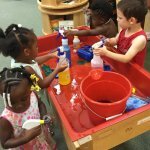 Children can explore and play with toys with other children, as well as their caregivers, and can gain a variety of learning experiences. Play opportunities include: wooden trains, magnatiles, dress-up clothes, dinosaurs, farm sets, riding toys, mini-basketball, hula hoops, doll houses, kitchen play, board games, puppets, dolls and action figures. Field Trips are offered for groups of children. All it takes is a phone call to set up a time to visit. There is no cost. 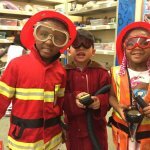 Field Trips can be combined with story time with the Lincoln Branch children’s librarian. Special themes can be arranged, just call to discuss with staff. 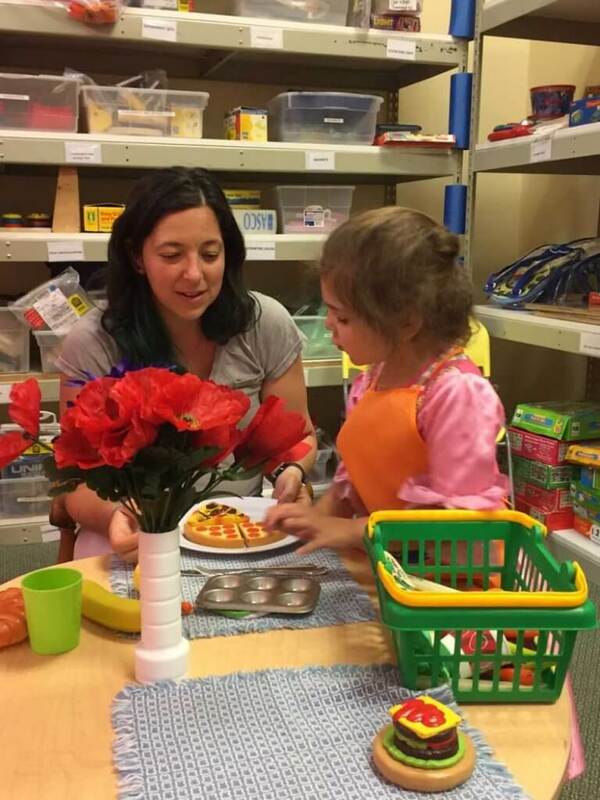 Toy Library staff are also able to provide professional development trainings for parents, childcare providers and teachers. 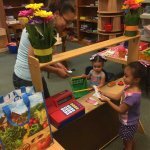 Just call and ask to speak to a Toy Library staff member and they will be happy to customize a program to meet your specific needs. Whether you’d like a simple introduction to the services provided by the Toy Library, or a session on the value of play, Toy Library staff can work with you to provide valuable training for your staff. The Toy Library has Travel kits for teachers of young children. These larger bins of toys are designed for small groups of children to play with together. Travel Kits include: Potato Head, Duplo, Lincoln Logs, Wedgits, Tabletop Blocks, Marble Runs, Water Play, Science Lab, Woodland Animals, among others. Travel Kits allow teachers to rotate a variety of fun materials into their programming without having to either purchase the toys from their limited budget or store the toys in their classroom. 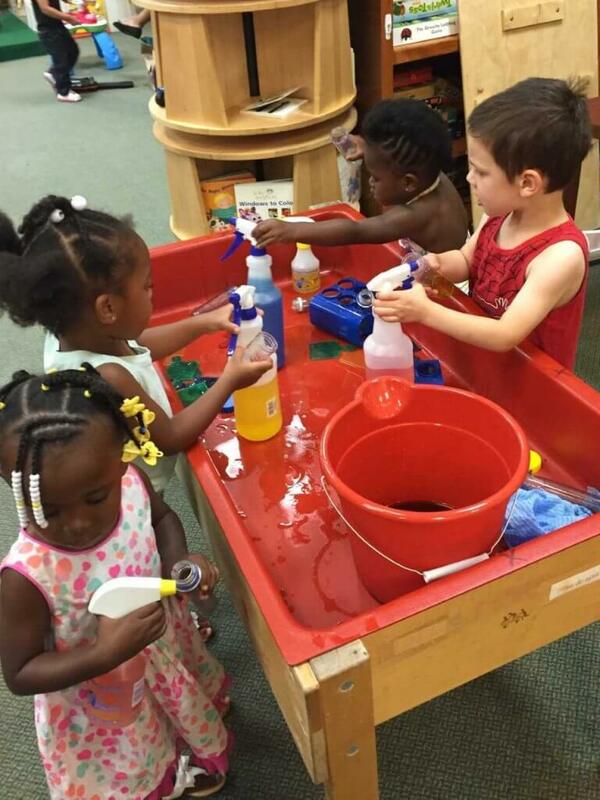 Summer programs at the Toy Library begin as soon as school ends in June. 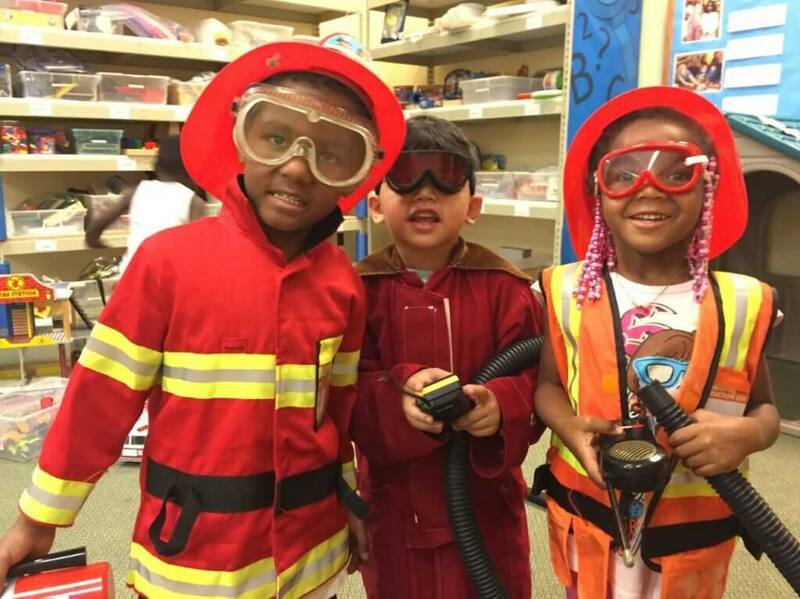 Each week children will arrive to find a new set-up where they can pretend to be vets, waiters, doctors, nurses, fire fighters, or scientists, among others. 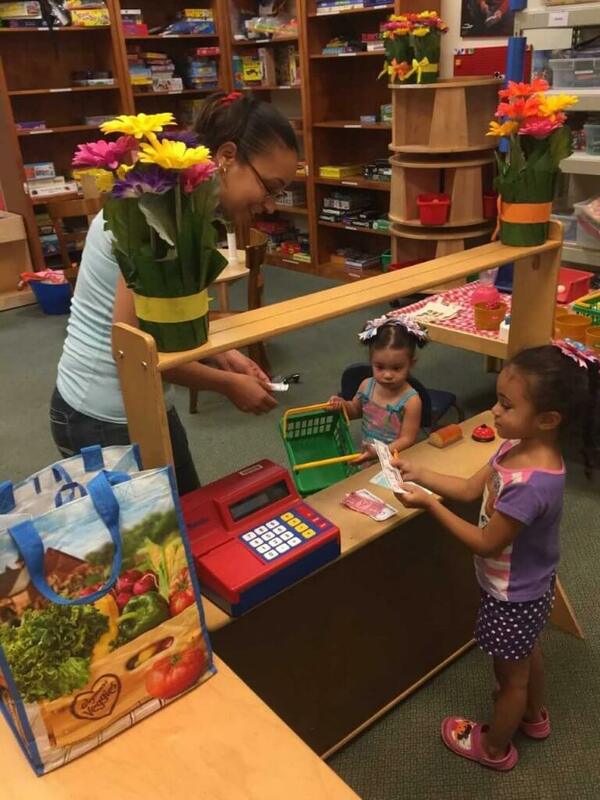 Programs are available during the Toy Library’s open hours. Groups of 5 or more are asked to call ahead to schedule an hour long visit. The Toy Library has a limited budget for new toys and is grateful to our patrons who regularly donate gently used toys. If you have excess toys at your house, please consider donating them to the Toy Library. We welcome non-fabric toys, in good condition. If you’d like to support the Toy Library’s mission with a financial donation, complete the Special Projects Donation Form and mail to Friends & Foundation of the RPL, email ndavis@libraryweb.org, or call (585) 428-8321 or (585) 428-8322. Closed Saturdays during summer. Closed 4/18/19, 5/15/19, 9/11/19, and 10/18/19 for staff development.